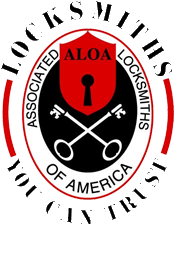 Reasonable Locksmithing provides the most advanced and state-of-the-art biometric access control (BAC) systems on the Montrose LOCKS & LOCKSMITHS market. Our BAC systems can be used to track and monitor groups of people or individuals. They also allow for full access control and identity access management. Moreover, our BAC systems can implement various means to recognize or detect a person based on unique traits such as DNA. For instance, we provide BAC systems that recognize faces and appendages (i.e., retinal scanners), voices (i.e., voice recognition software), and fingerprints. For example, Reasonable Locksmithing currently provides 4 different kinds of fingerprint readers. Our pin-less fingerprint reader does not require a pin pass code. It allows you to manage and program over a thousand users by simply using a remote programmer. Moreover, we provide an online fingerprint reader that can detect up to 4000 unique fingerprints with template management being handled centrally using the provided software. However, if you do not wish to use biometric compatible computers, Reasonable Locksmithing also provides a standalone model that can be programmed to detect up to 300 unique fingerprints directly from the fingerprint reader itself. Furthermore, we provide a fingerprint verification reader that uses post-it patches and a smart card. That is, it will only allow access if both the smart card and fingerprint are verified at once, allowing for dual security measures. Moreover, Reasonable Locksmithing installs biometric door locks that incorporate multi-core detection technology. Our cylindrical fingerprint locks are battery operated and are installed as standalone locks. Furthermore, they can detect fake fingerprints using algorithmic analysis, electrostatic capacity, and optical features such as infrared lighting. Concerning our face capture biometric technology, it consists of self-contained units that implement multi-core visualizers, panoramic cameras, infrared lighting, and internal networking software in order to provide the most advanced and accurate biometric face detection technology on the Montrose LOCKS & LOCKSMITHS market. However, we have found that the majority of our Montrose LOCKS & LOCKSMITHS clients prefer voice recognition biometrics for their security needs. Voice recognition technology is less intrusive and easier to implement, while providing impressive accuracy. Our voice recognition technology is top-of-the-line and unparalleled because it detects both voice pitch and tone, as well as speech patterns using stored digital profiling. This makes it impossible for a voice mimicry expert to gain access due to the subtle nuances that only speech patterns unique to an individual can provide.